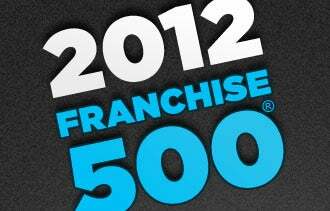 Pizza Hut is no stranger to the Franchise 500®--it has dominated the pizza sector for years. But while the recession actually provided a boost to cheap burgers and fries, pizza restaurants have been hit hard due to spending cutbacks, rising cheese prices and an explosion in sales of competing frozen products. Even the mighty Hut was not immune: Before 2011, the company hadn't engaged in any new unit construction in the U.S. in nearly a decade, and revenue grew just 1 percent. A lesser company might have given up and focused exclusively on China, where Pizza Hut is still rapidly expanding. But the Hut fought for its U.S. market, cutting its prices to offer $10 any-topping large pizzas, $8 mediums and (on Wednesdays) 50-cent hot wings. In one stroke, it went head-to-head with lower-priced competitors and shed its "expensive" reputation. Meanwhile, a simplified online portal helped push cyber-orders over $2 billion, and an emphasis on delivery has made the company's WingStreet the top-selling U.S. brand of chicken wings. Now that's a comeback, and it's part of the reason the Franchise 500® mainstay is back in the top 10 after dropping below for two years. In 2011, Pizza Hut continued to gain momentum, most noticeably with the increased implementation of a restaurant footprint it calls "Delco Lite"--a smaller layout that trades the famous red roof for a more contemporary design that fits snugly into mini-malls and other in-line shopping spaces. "There are a lot of smaller towns in America that are dramatically underserviced by national concepts," says chief marketing officer Kurt Kane. "With the new model, there's a lower investment point. We'll be able to place them in new towns, and even open up in places we thought were fully penetrated. Now we have 2,000 new trade areas we can open in the next few years." That's an unprecedented growth opportunity for a company that already has 7,100 U.S. franchises, and it gives current operators a chance to invest further in the system. Consumers, too, seem pleased with the recent changes--Pizza Hut beat out rivals in its category to receive the highest score on the 2011 American Customer Satisfaction Index. "Now we've got the customer right, we've got the food right and we've got the investment proposition right," Kane says. 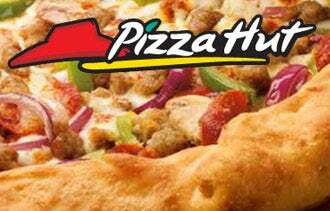 "We're really excited about the growth opportunity for Pizza Hut across the board."